You can never have enough grydelappers, or so my mum says, I think I’m inclined to agree. My family have always used gydelappers (pot holders) instead of chunky oven gloves. We used to get them handmade and crocheted by my Mormor (danish for grandma), they were always so perfectly finished. I’ve attempted to crochet similar ones, they came out quite well (see my previous crochet grydelapper post ) but my crochet skills are no match to what Mormor could do, she was the crochet queen! Having made so many crocheted grydelappers, I wanted to find a quicker method and chunkier yarn so I’d only have to make one layer (rather than making two squares and sewing them together). 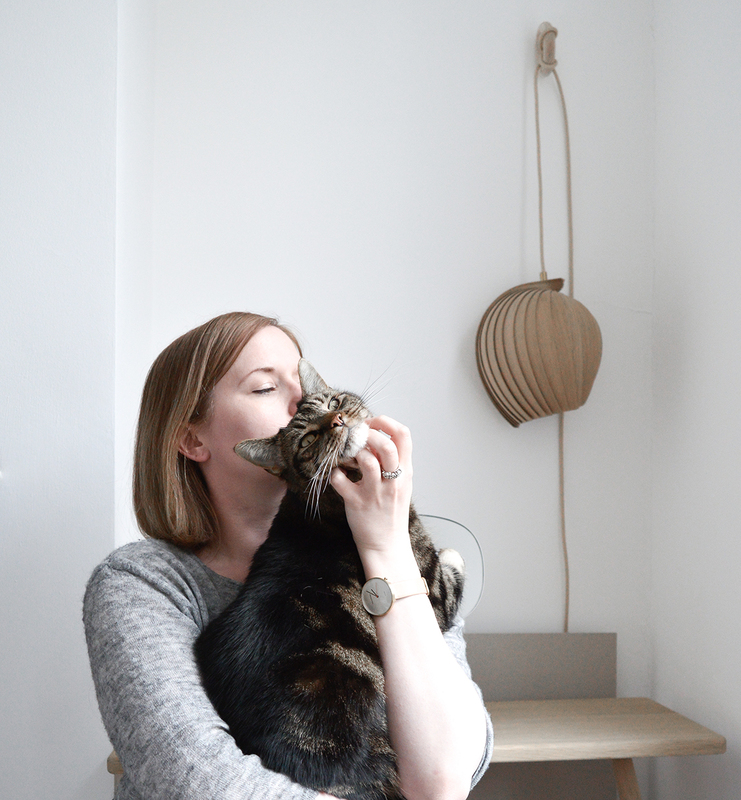 These knitted rope/chunky cotton floor cushions , pouf and accessories from Habitat are so nice. I love the style, chunky knit and having a cotton rope or chunky yarn would be great for a grydelapper, not only does it look nice but cotton is durable and washable too. It took me quite a while to find a chunky cotton yarn that was 100% cotton, not waxed and easy enough to knit with, but I FINALLY found it! Which is this , Lanas Stop Ciro Chunky 100% Cotton 100g shade from Amazon. To make your own grydelappers follow this tutorial. 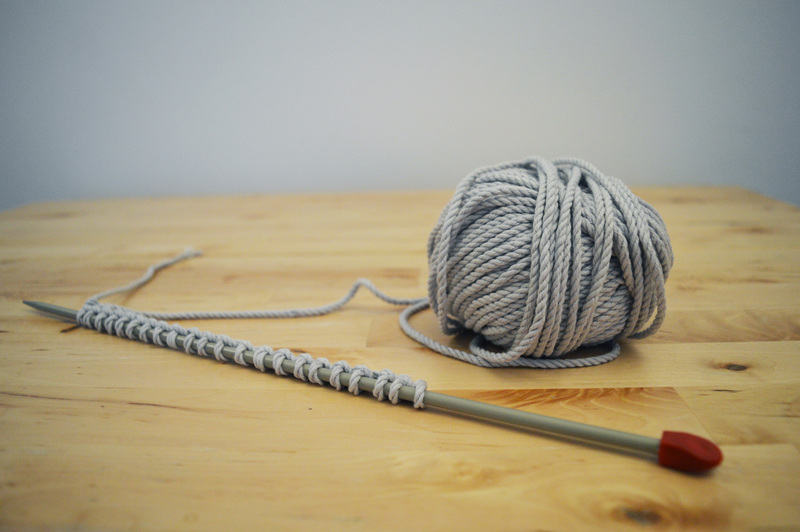 – Crochet hook, I used 4.5mm as that’s all I had, but you can also use 5mm hook too. I find metal is easier to use with a chunky yarn. 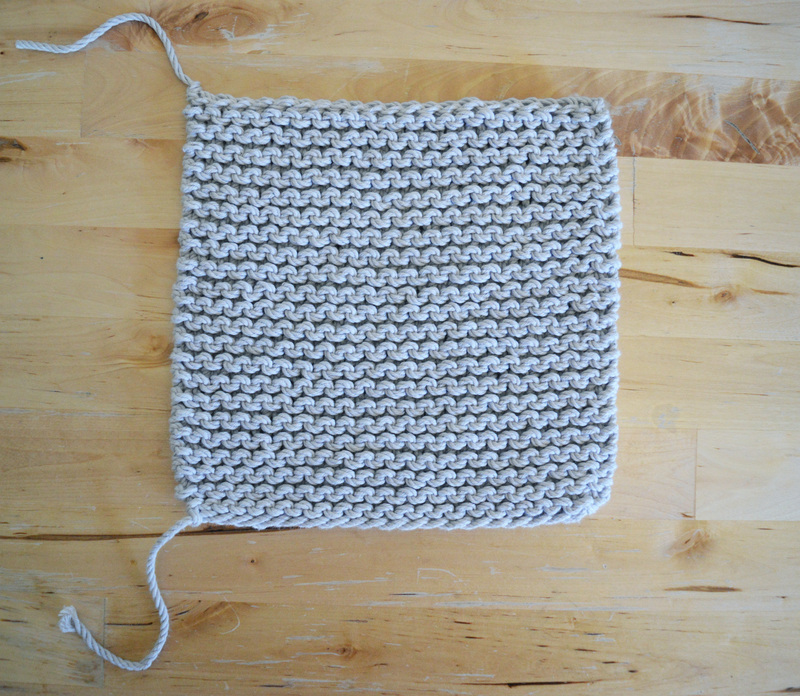 Step 2 – I’ve chosen a basic garter knit, some people do a purl knit on the edges but i didn’t bother. 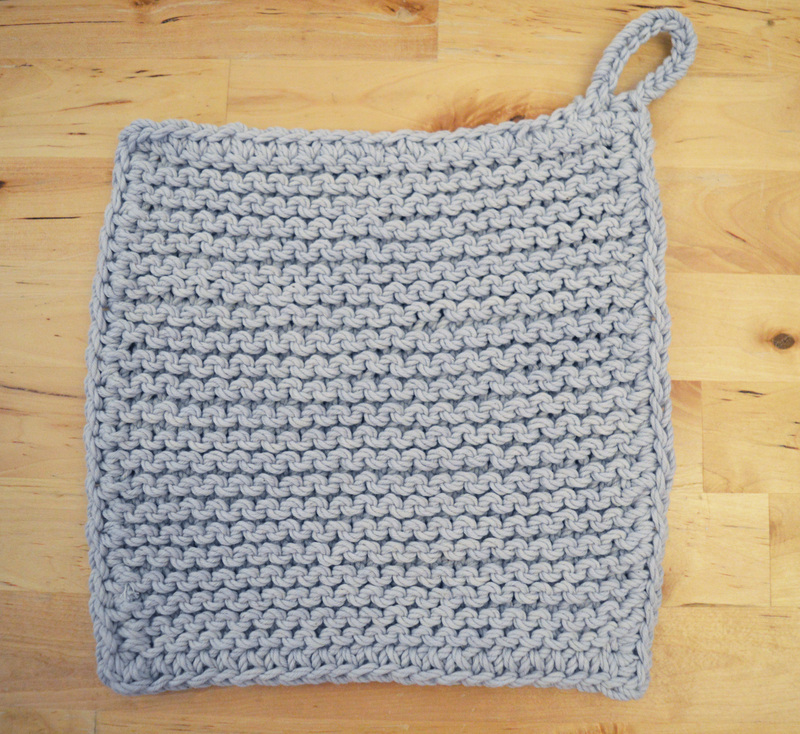 This is so easy, all I did was knit a row, flip it round and knit another row. I repeated this 43 times. 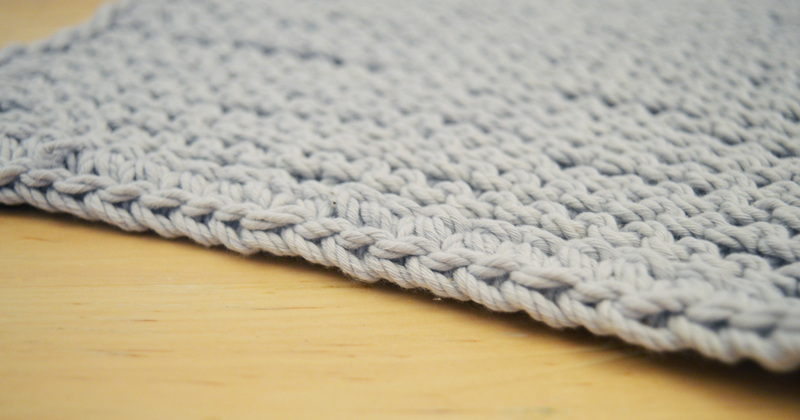 Step 3 – Once you have completed these rows, cast off. This should then be an even square. 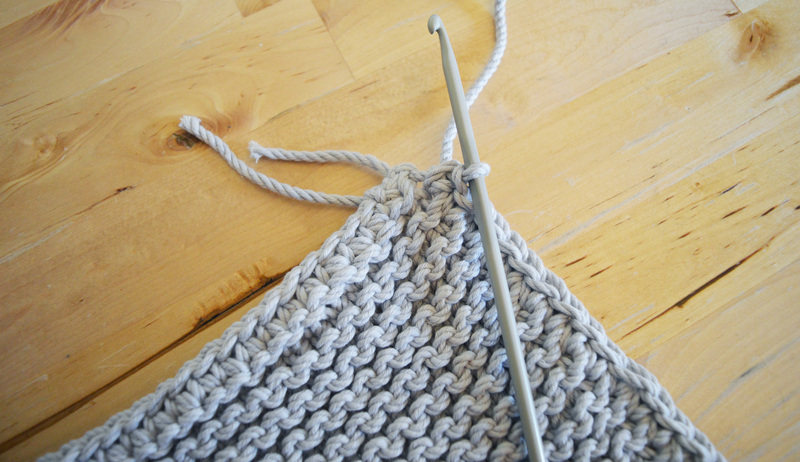 Step 4 – Crochet around the edge of the square. 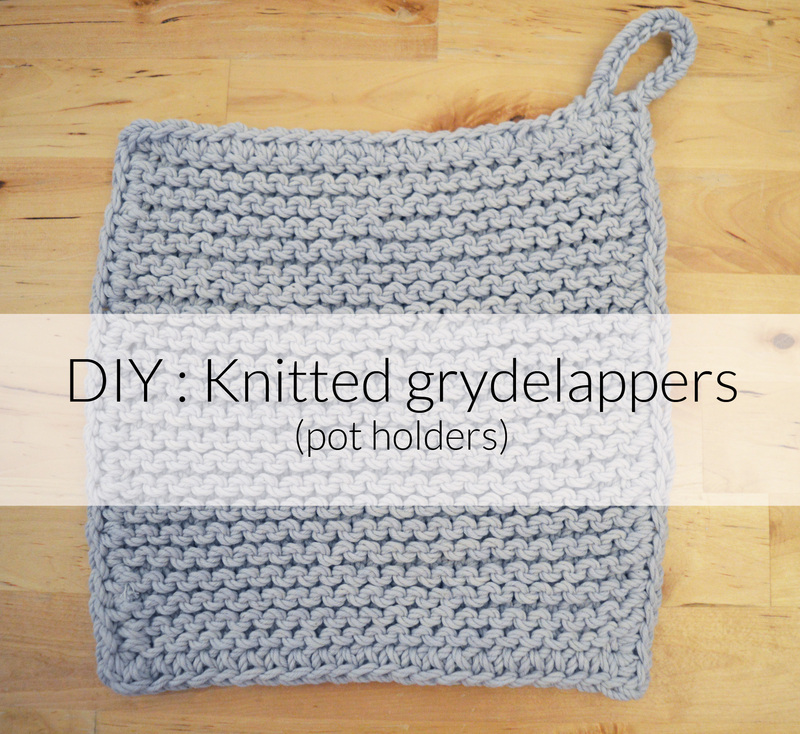 This creates a uniform edge and you can make a loop to hang your grydelappers up in the kitchen. Don’t worry about the stray yarn, these can be neatened up later. Step 5 – Once you’ve crocheted around all 4 edges continue to crochet a chain of 12, attach the end of this chain to the next knit on the crocheted square, making a loop. 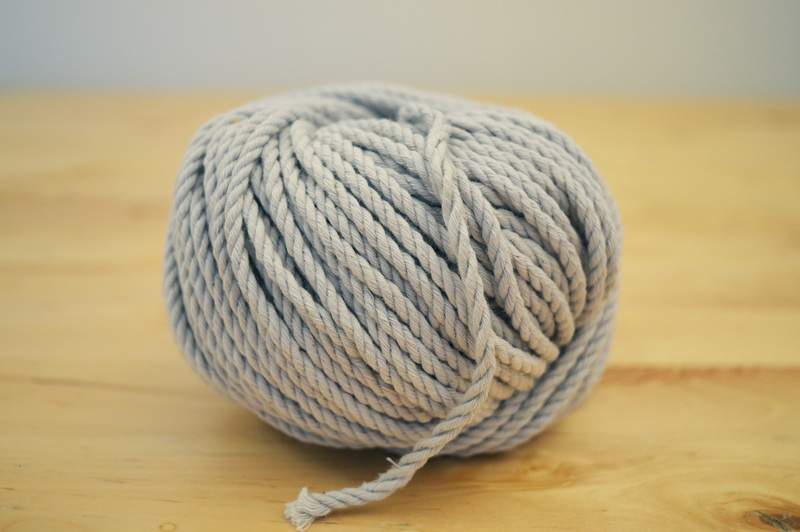 It’s best to attach it is a crochet stitch and then cut the yarn, pull tight to create a knot. This will now look a little messy as there will be end threads everywhere. I like to keep the threads and just crochet them into the second row in. It is almost impossible to see them once you’ve done this and there’s less of a worry that any knots will come undone. These grydelappers get so much wear you need them to have a little tolerance. I used roughly one ball of yarn per grydelapper with a little yarn left over. Have a go and make your own! They’re so practical plus they don’t look too bad either!